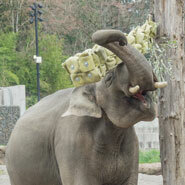 The health and well-being of every animal is a priority at the Oregon Zoo every day. But did you know that giving the best possible care means more than just tending to the physical needs of each animal? 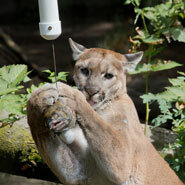 The zoo is constantly working to enhance the lives of every animal through our renowned enrichment program. By providing stimulating and challenging activities and environments, our animal ambassadors are encouraged to explore their curiosity in line with natural behaviors. Community support is critical to the success of this important work. 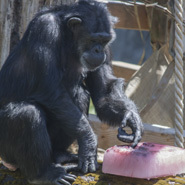 Make a gift to the Annual Fund today to support vital animal welfare programs that make a difference for the animals at your zoo.